The city of Dargun is placed in the heart of the Mecklenburg-Vorpommern region in the Northeastern part of Germany. 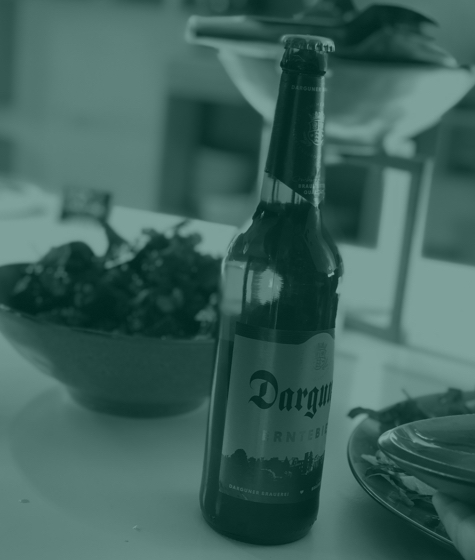 Back in 1172, Danish monks settled in the city of Dargun and started brewing beer. 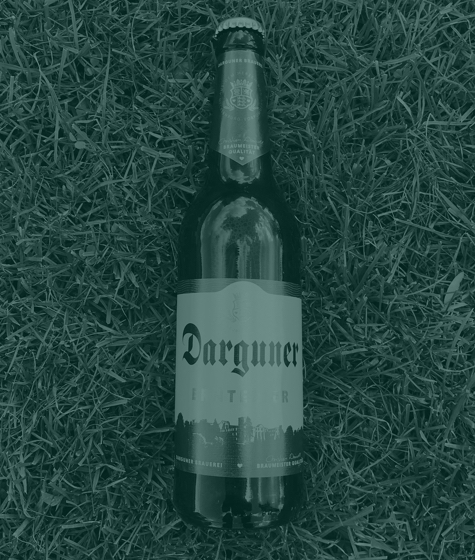 To honor these roots, 29th of May 1991, on a green meadow, Darguner Brauerei GmbH was established in the same city. 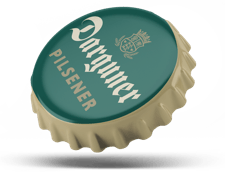 Darguner beers are all based on the best raw materials. 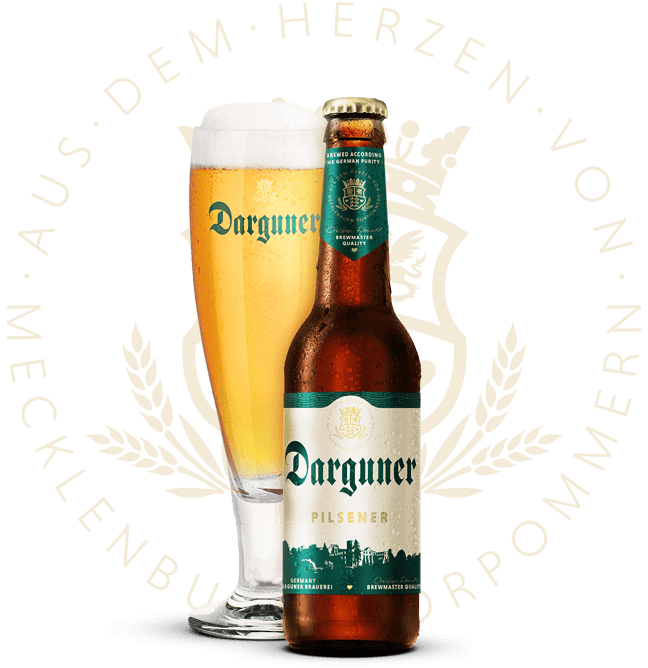 The crystal clear fresh water used comes from deep wells of Mecklenburg origin and offers the right basis for all our Darguner beers. Pure, fine-dry, slightly hop-aromatic, slender Pils of golden yellow color. A german Pilsener style Beer of Premium Quality. 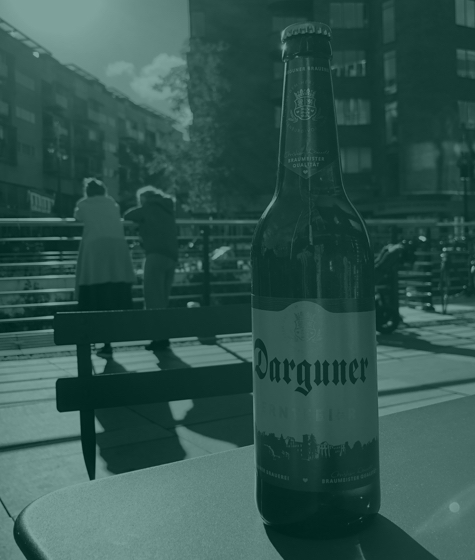 Darguner Pilsener 5% convinces through its very pleasant, mild aroma, with a touch of well selected hops aroma. 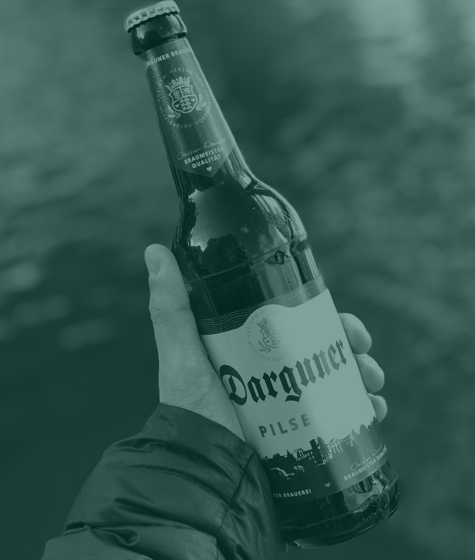 Crystal clear water, finest selection of barleymalt varieties and hops are the basic factors for our master brewers to brew a beer to this perfection. 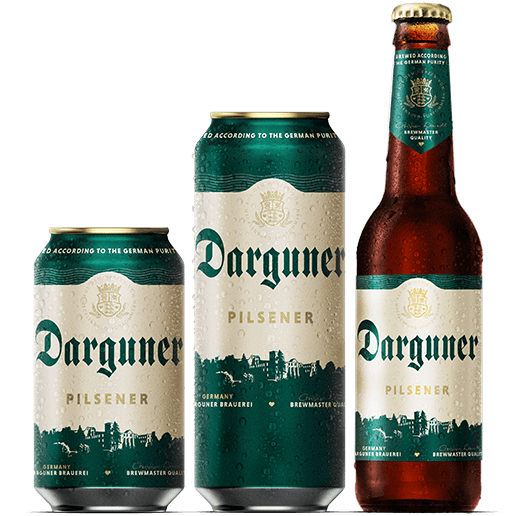 Darguner Pilsener is slow fermented at low temperatures and extra long matured – a unique experience that creates thirst for more ! A typical bavarian “Weissbier” style wheat beer. 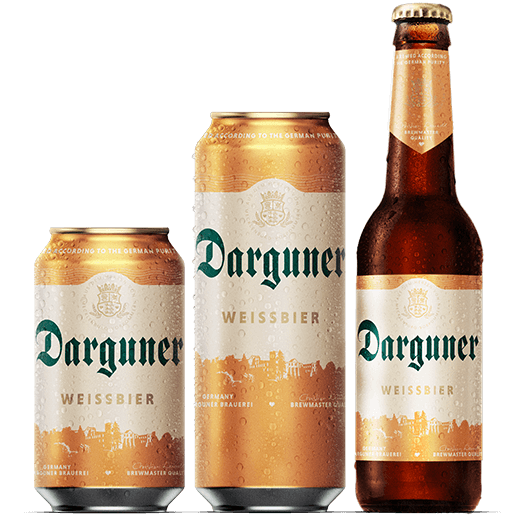 Darguner Wheat 5% is traditionally brewed according to the German purity law using only the finest selection of wheat malt, barley malt and caramel malt. This unique malt composition and a special top-fermenting yeast create a festival of aroma impression; consisting of a fruity and spicy, clove-like aroma. Very nice, smooth mouth feeling with a silky hops aroma. This Beer is unfiltered, thus containing all natural ingredients. Turbidity is a quality requirement and consists of proteins and yeast. Rewarded with gold medals from 2011 until today – a premium choice of a world class beer! Ingredients: Water, wheat malt, barley malt, hops extract, hops, yeast. Darguner Osterbier is a special brew with a nice amber colour and lovely caramel notes from the malt , topped with flowery and spicy notes from the aroma hops! This beer is a bottom fermented beer and it is also a special Lager beer. Special mashing regime, cold fermented and extra long matured beer. Ingredients: Water, barley malt, hops extract, hops. 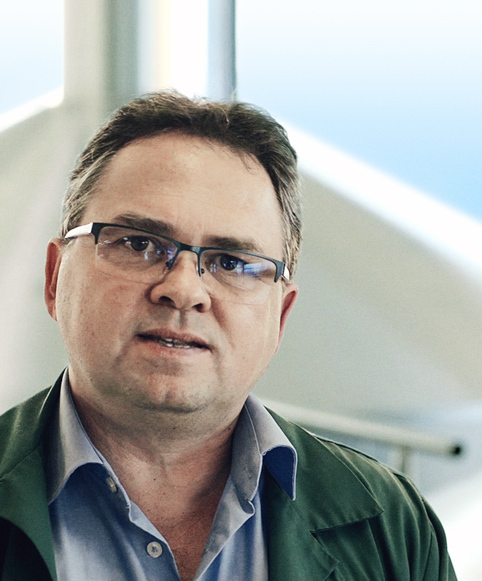 Our very own brewmaster Christian Weindl is the passionate mind and driving force behind our beers. 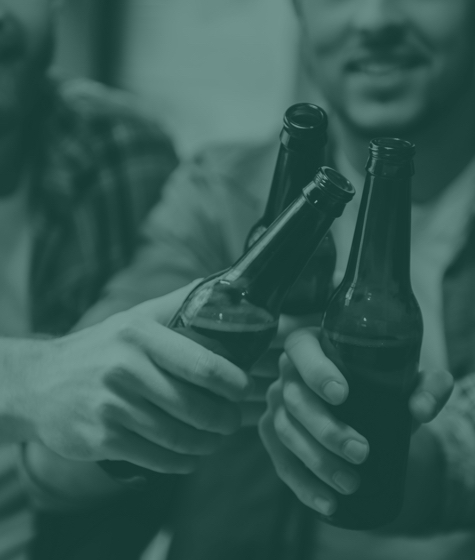 Being a brewmaster in Germany can be compared to the work of an artist or composer, because you are only allowed to play with four components. With just four ingredients the brewmaster manage to create a variety of different types and styles of beer. Our brewmaster, with Bavarian roots, Christian Weindl, is educated at the prestigious Staatliches Hofbräu in Munich. 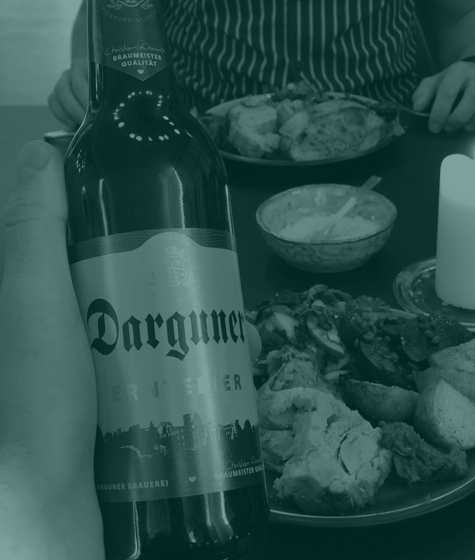 With dedication and passion he turns the Darguner beer into a truly authentic German experience. That is why we are using his signature on our Darguner beers. Nestled in the heart of Mecklenburg-Vorpommern, the city of Dargun is placed in the Northeastern part of Germany. 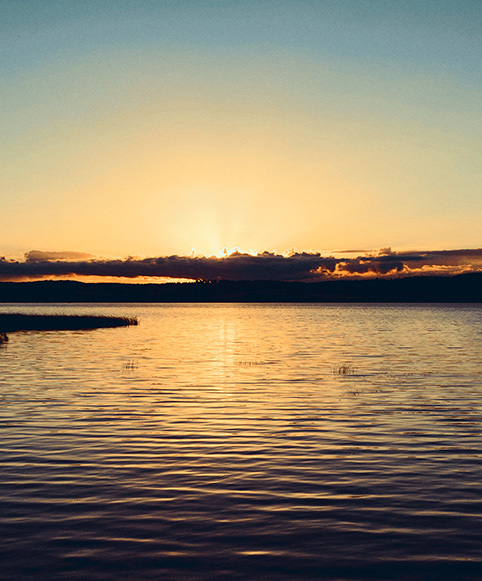 Unlike many other countries and regions, the Mecklenburg-Vorpommern area has a huge variety of natural wells and water sources – in fact it is called, the land of thousand lakes. That is why the water we use for brewing has a carefully selected taste of its own and contributes to the unique character of each beer. One of the most famous monuments is the monastery’s brewery from 1172. 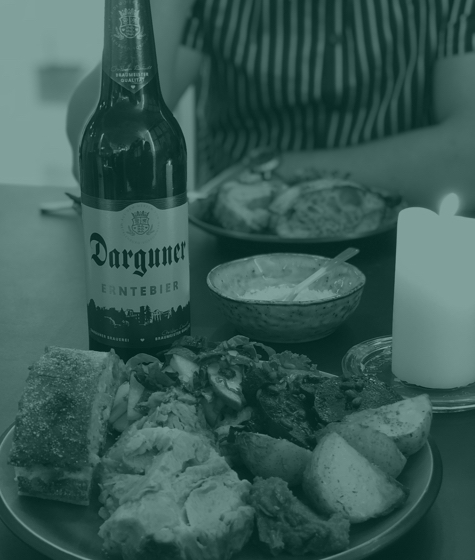 The monastery was founded by Danish monks, who settled in the city of Dargun and began brewing beer with the use of the local ingredients. Become a member of the Darguner community of representatives around the world. Maybe you haven’t heard of the Purity Law from 1516. 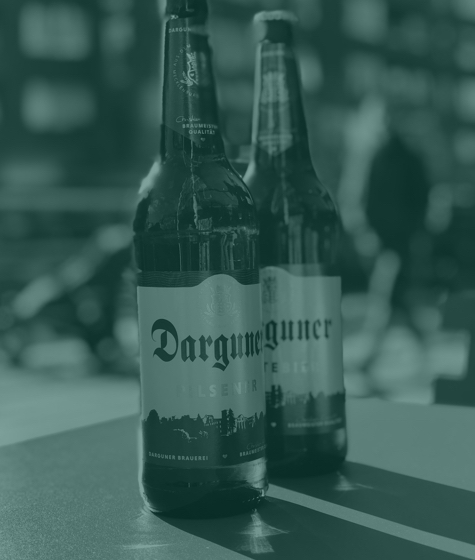 Actually, Darguner beers are brewed in accordance to this law which ensures that no other ingredients than barley, hops, water and eventually yeast and wheat are used in the beer brewing process. The Reinheitsgebot was proclaimed by William the IV, Duke of Bavaria, in 1516. The reason was first and foremost the health of the German nation to preserve the necessary ingredients to bake enough bread, the Duke imposed restrictions on the usage of wheat and rye only to be used for bread. It may seem like an outdated law but we like to hold on to the authentic traditions in maintaining the right taste of Darguner. 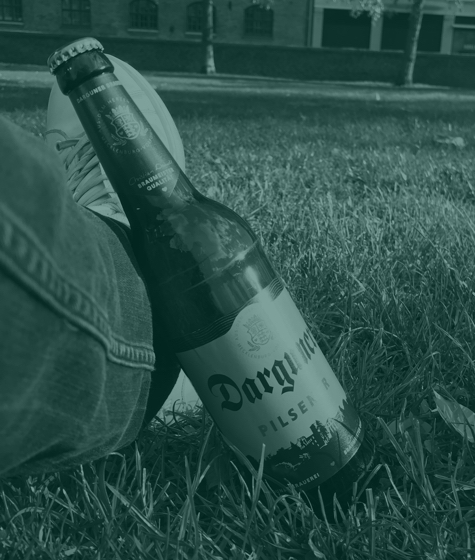 The German Agricultural Association (Deutsche Landwirtschaftsgesellschaft – DLG), whose standards are the toughest in the beer market has recognized our quality. During 20 years of participation in the DLG competition, we have managed to bring home a huge number of awards. Every year we receive the DLG price for longtime product quality. In 2016 our brewery received the Award of Excellence „Bundesehrenpreis“ in the DLG Quality Test for beer. It is the highest honor that a German food company can receive for its quality. 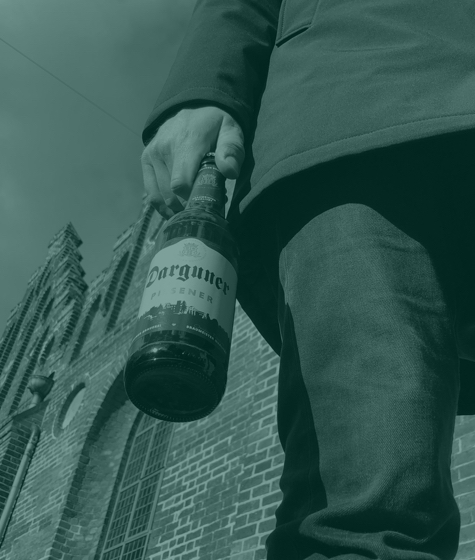 We will continue improving the brewing of Darguner beers on the basis of the historical traditions.